Foot spa I made to do with my daughter. 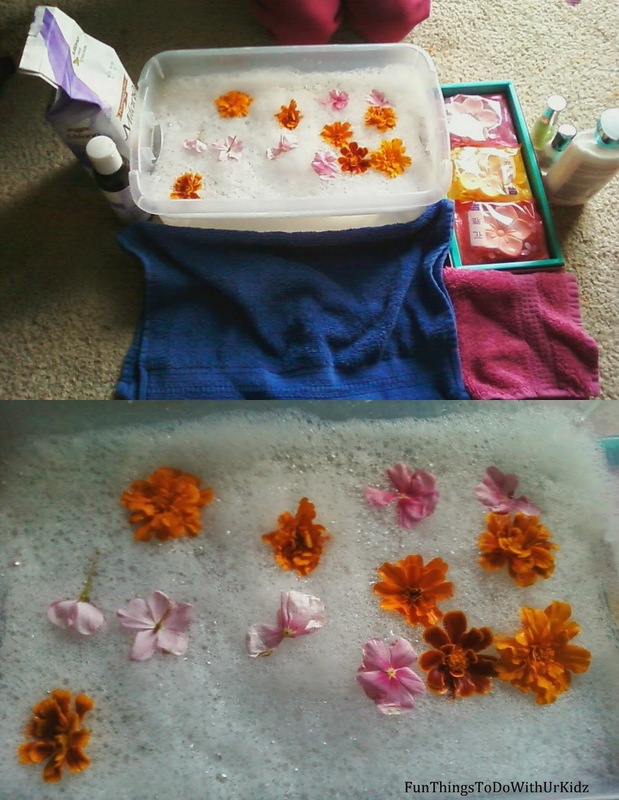 We picked some flowers from our garden, added some nice baby oil to the water, had plenty of different soaps and bubbles and even nail polish. O-yeah I couldn't forget the cookies for her to munch on while she got her feet cleaned and painted. Easy cheap idea for girls you could also make it bigger some and use this idea for a little girl's party!